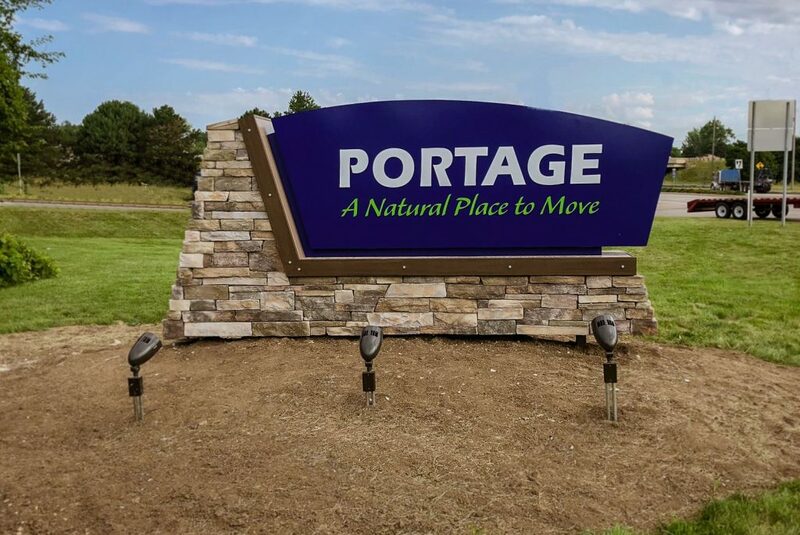 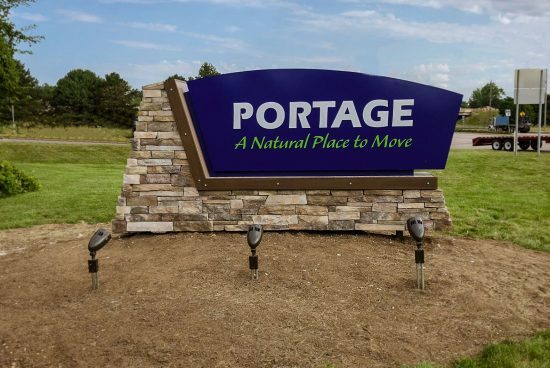 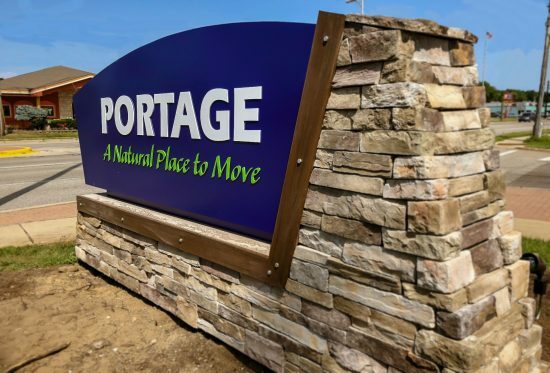 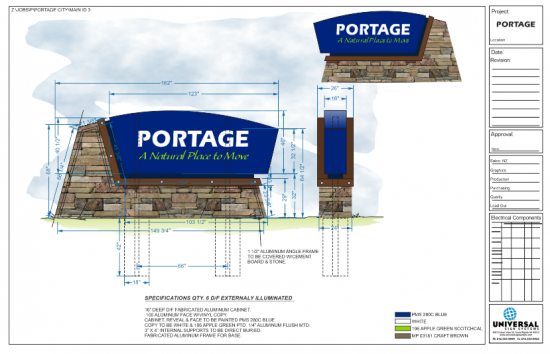 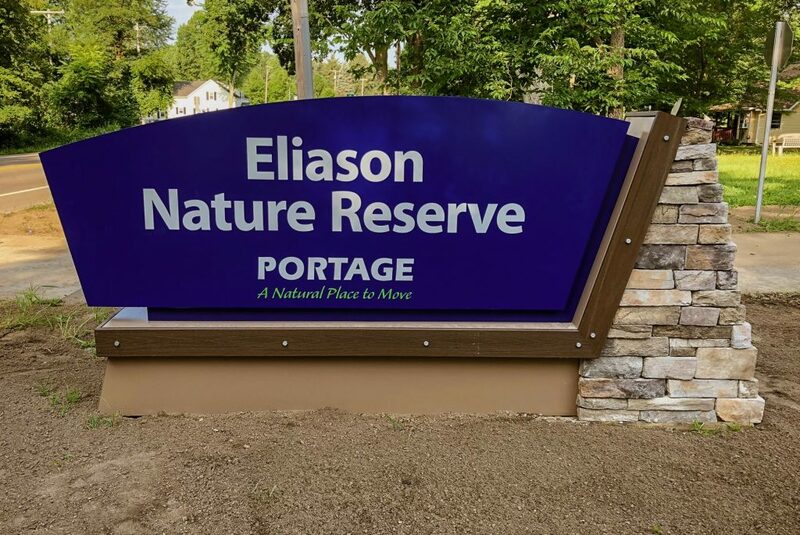 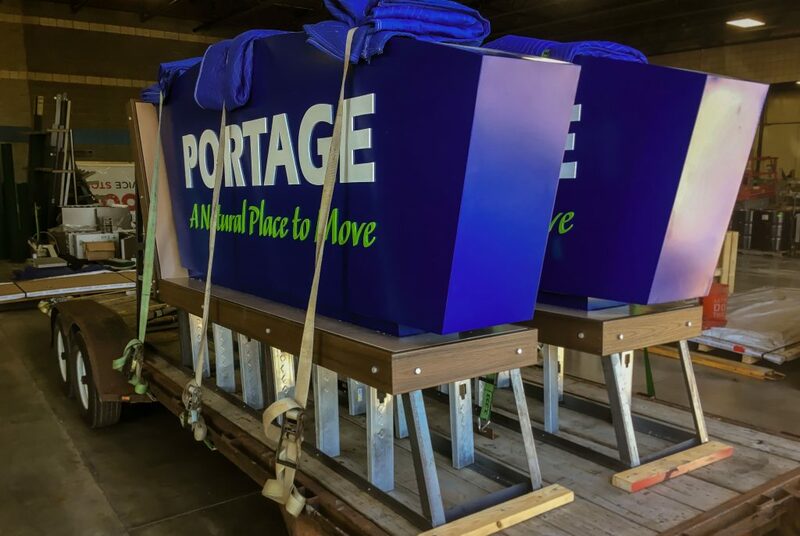 During the summer of 2018, Universal Sign Systems was privileged to replace the outdated gateway signs and park signs for the City of Portage. The project required removal of the old signs and masonry bases to make way for the updated architectural signs with masonry cladding. 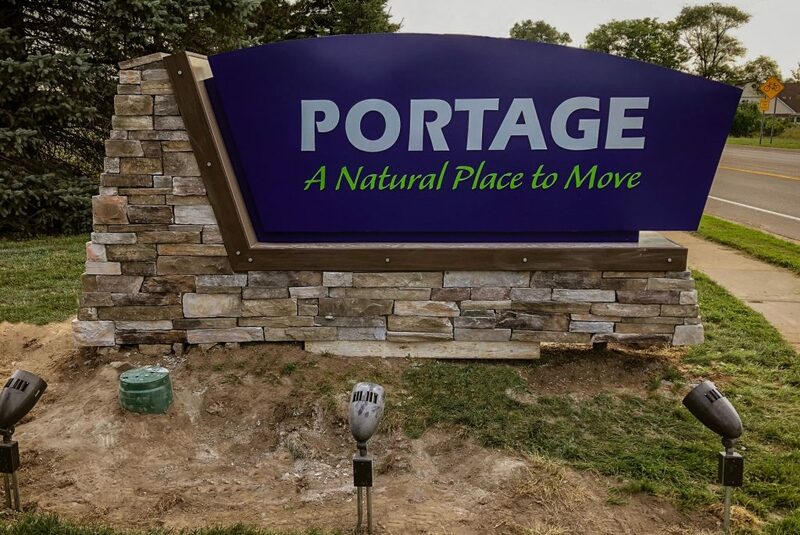 Universal quickly and efficiently produced and installed six gateway signs and two park signs, applied the stacked stone, and installed new energy efficient LED ground lighting to ensure excellent visibility both day and night.